That is just a tad under nine-and-a-half TONS! And that was our total for last Saturday. 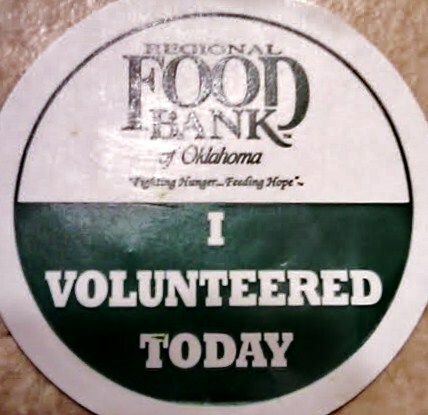 Each year I spend at least one Saturday morning at the Regional Food Bank of Oklahoma with as many members of my work family as possible. Today was our day. 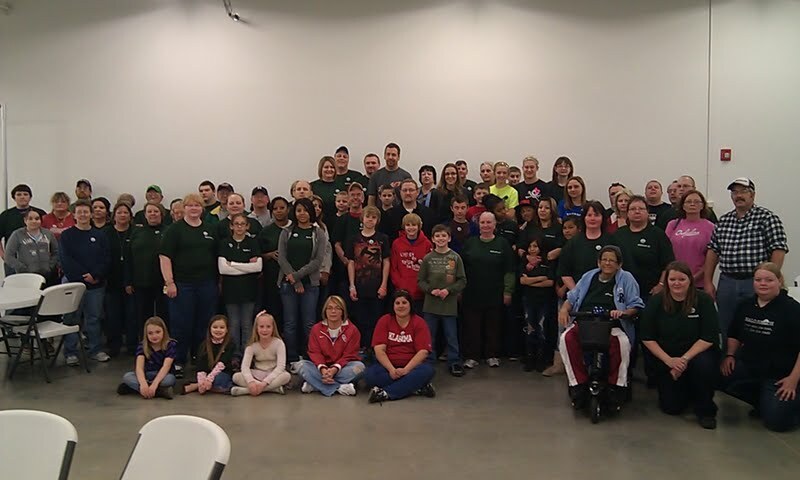 This year, from our 11 stores, we had a total of somewhere around 85 folks. It’s pretty remarkable to see what eighty-five people can accomplish when they work together. That figures to be around 232 pounds processed per person. By process I mean prepared for distribution. 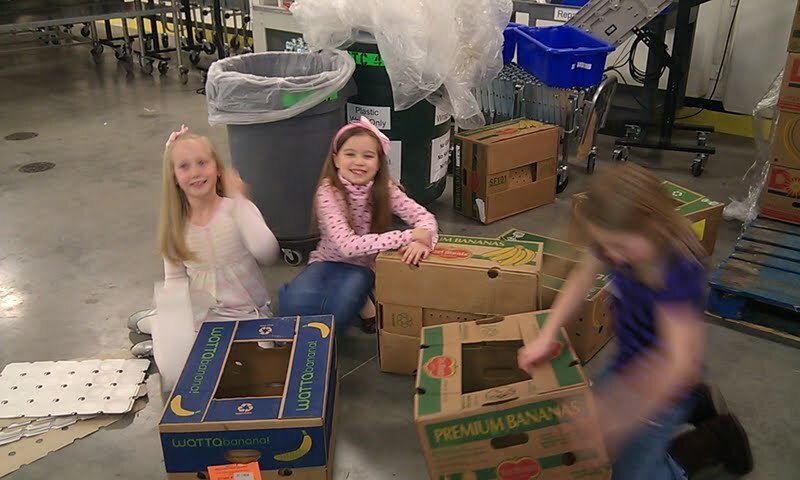 Sometimes we get frozen corn ready to be distributed, sometimes bread, sometimes we work on packaging the food sacks for the Food For Kids Program (my favorite program), sometimes canned goods – whatever needs to be done. 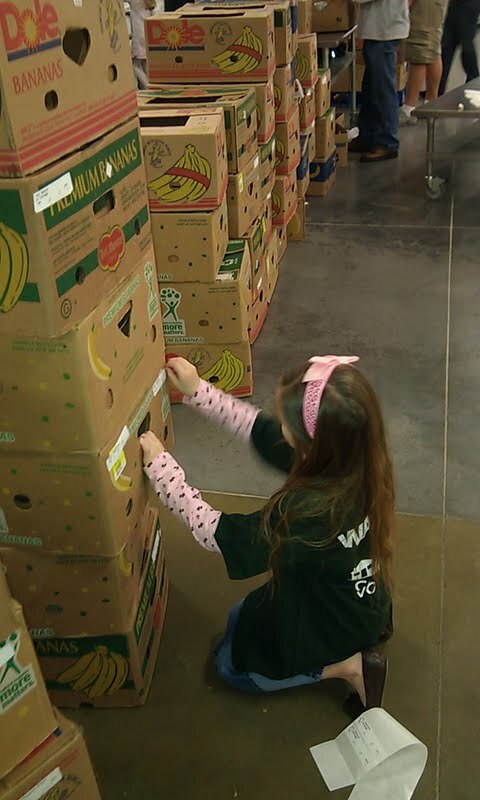 Each task is a little different, but the premise is the same – take it from whatever shape the RFBO receives it in, divide it into units, package so many units into cases, palletize the cases – repeat. Never ending pallets of spinach – I will probably have green dreams tonight. The RFBO received 4′ by 4′ bins of bulk frozen spinach. Because most families would not have much use for 1,000 pounds of spinach, it became our duty to break that down into more reasonable portions. Step 1. (My job) Scoop 2 pounds of spinach into the plastic bag. Step 2. Verify the weight on the scale. Step 3. Seal the bag and put into a case. Step 4. When the case has 14 bags seal the case and stack it properly on the pallet. Step 5. Repeat for all eternity… Because they seemed to have gotten an infinite amount of the green stuff! This year I was impressed with the number of kids that came out. 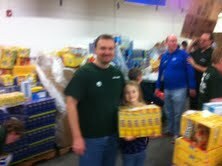 There was at least twenty kids helping us – maybe more. I love the fact that my kids go with me – they love it too. I enjoy them coming because it gives them a chance to see how blessed we are and that our responsibility is not to hoard our blessings, but to share them with those less fortunate. My kids love it (I’m sure) for other reasons. Kaity made friends last year with my boss’ daughter – she could not wait to see her again, and this year the two of them made friends with the daughter of one of my peers. Giggling, labeling boxes, and exchanging phone numbers… Girls! Noah enjoys going, not because of the other kids, but mostly it seems to play with Jack & Bill – especially Jack. Jack and Bill work for the food bank, they help me arrange the event each year, and Noah LOVES trash talking with them – and Jack dishes it right back to him. Great fun! 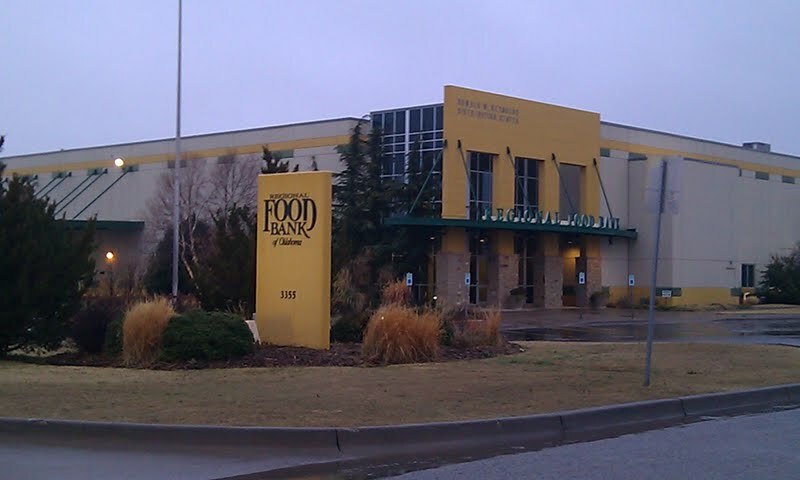 You can watch a video about the background of the Regional Food Bank of Oklahoma here. And you can check out their website here. AND please do – they are a high quality organization giving back to our community in many ways.